The Cryptozoologist is a one-woman indie yarn slinger based in Yorkshire, UK specialising in 100% British yarn, dyed up in dreamy shades to represent fantasy, literature, pop culture and video games. I had to retire my shop briefly while battling with illness, but I'm back with a bang and more colour than ever! The method I use to dye has changed to reflect my lifestyle. 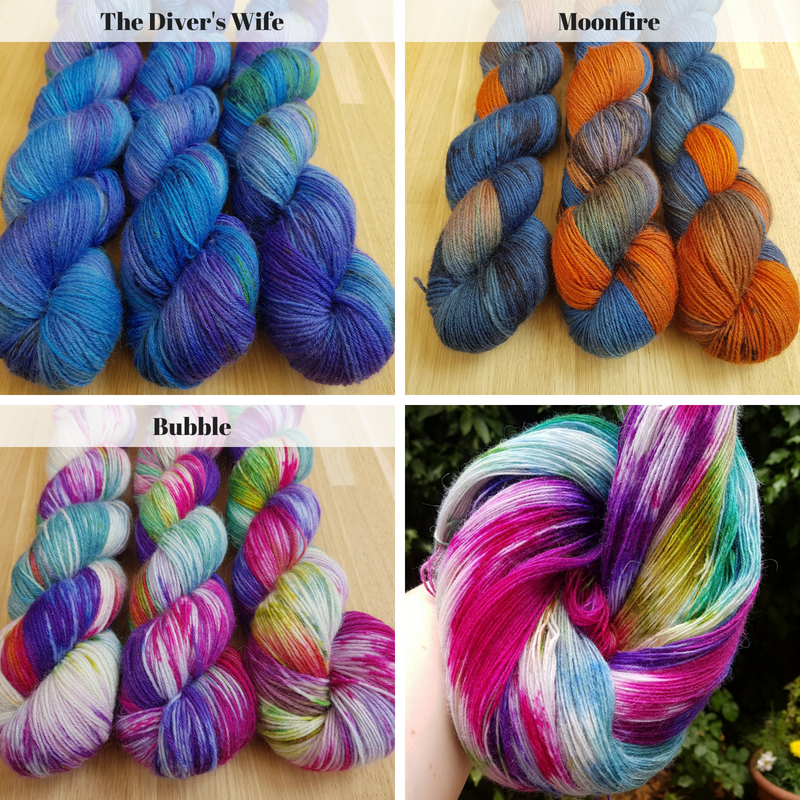 I blend, speckle and paint to make multi-layered colourways that will burst into colour on your needles. 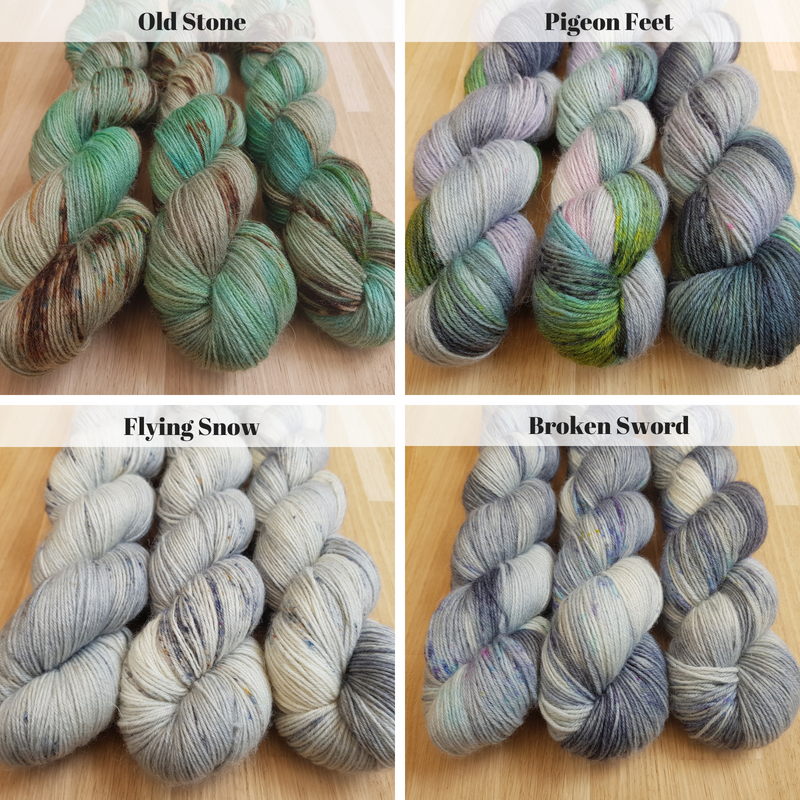 I'm launching with a solid collection of eleven colourways and will be adding more as I play, explore and refine at the dyepots. I still use 100% Yorkshire reared and processed yarn. It's a beautiful blend of snuggably soft BFL and hard-wearing nylon to ensure the yarn is powerful enough for socks, but slinky enough for next-to-skin wear. The sense of fun and fantasy has stayed. I like to put magic into every skein, whether that's traditional style magic or the zing of something new. I like my colourways to be interesting to the eye, always something new to find. I hope you'll join me for the joy of my relaunch, and that you'll find something beautiful that speaks to you. Check out the new colourways! 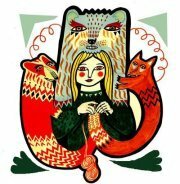 The Cryptozoologist is a Yorkshire-based, one-woman yarn dyeing business inspired by whimsy, fantasy and fun. 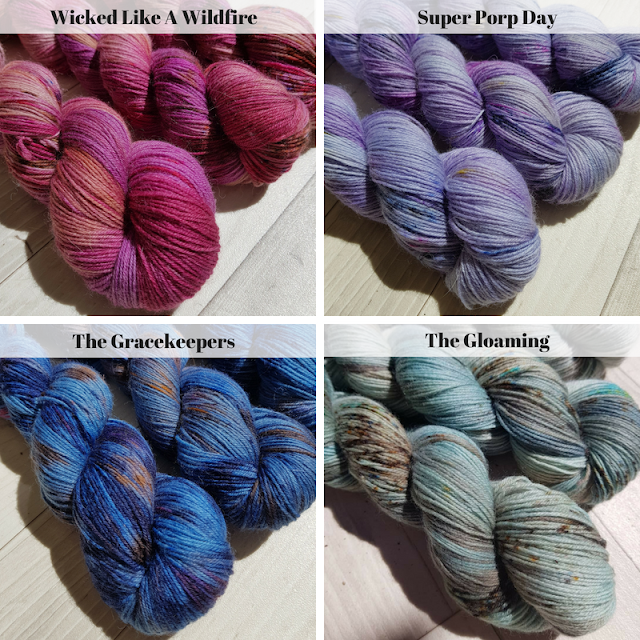 This is a journal of my dyeing adventures, inspirations and general knitting life! 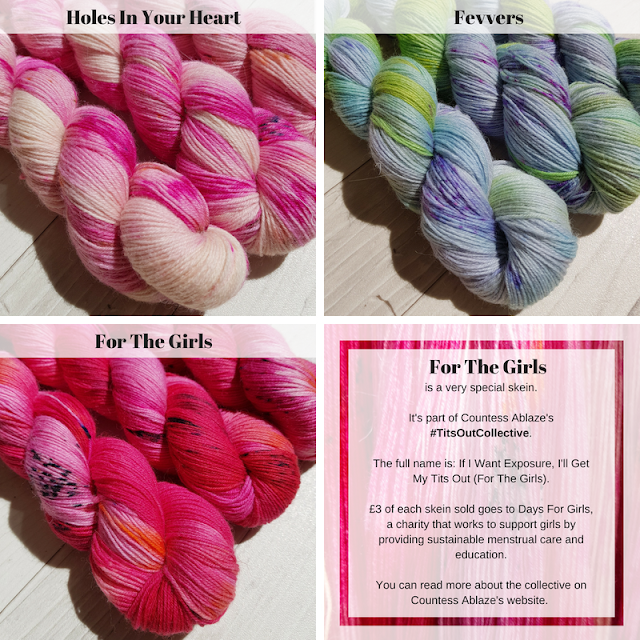 © The Cryptozoologist | 100% British, small batch, fantasy yarn. Design by FCD.